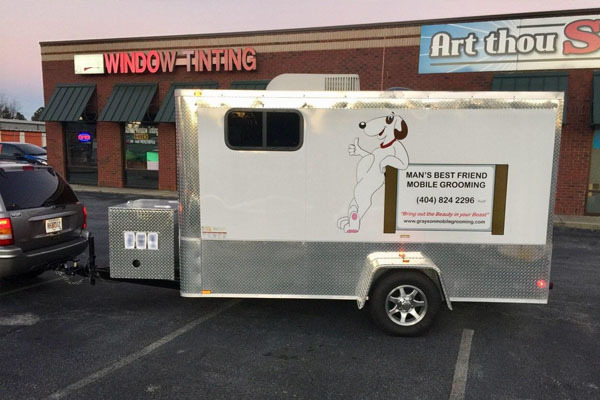 Take your Mobile Pet Grooming Business on the Go! 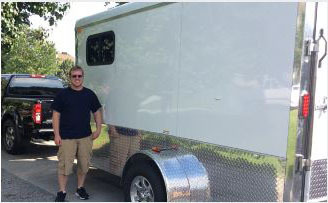 We furnish custom superior mobile pet grooming trailers and they….are…awesome…! 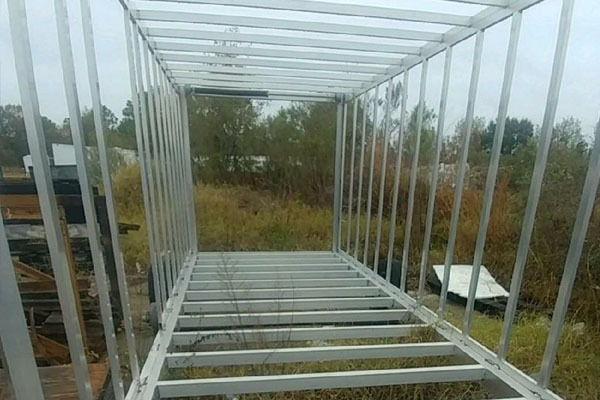 We located a cargo trailer manufacturer with the most durable and safest trailer units for the road, before we even began converting them into our special pet grooming mobile shops. 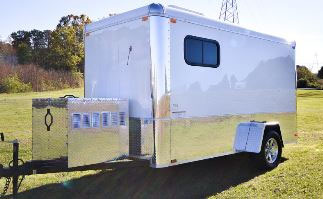 Our trailers are finished in a screwless polished crystal white aluminum. 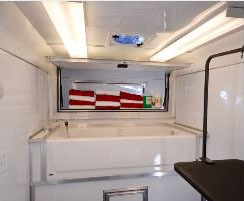 This is easier to clean and is more convenient for adding your signage or full wrap onto it! We’re a small friendly family business. Our clients are important to us, and we always treat them like extended family. Accelerate Your Grooming Business Today! 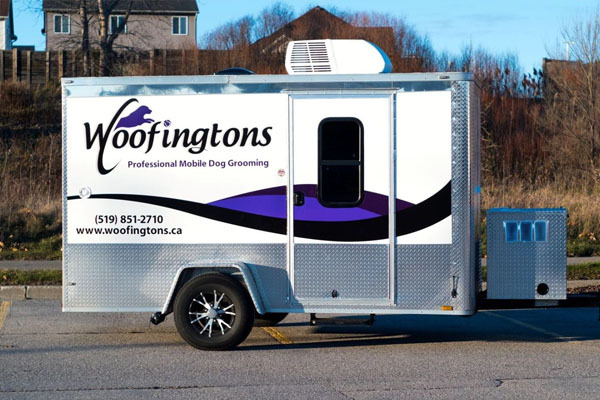 Go mobile with one of our custom Pet Grooming Trailers. 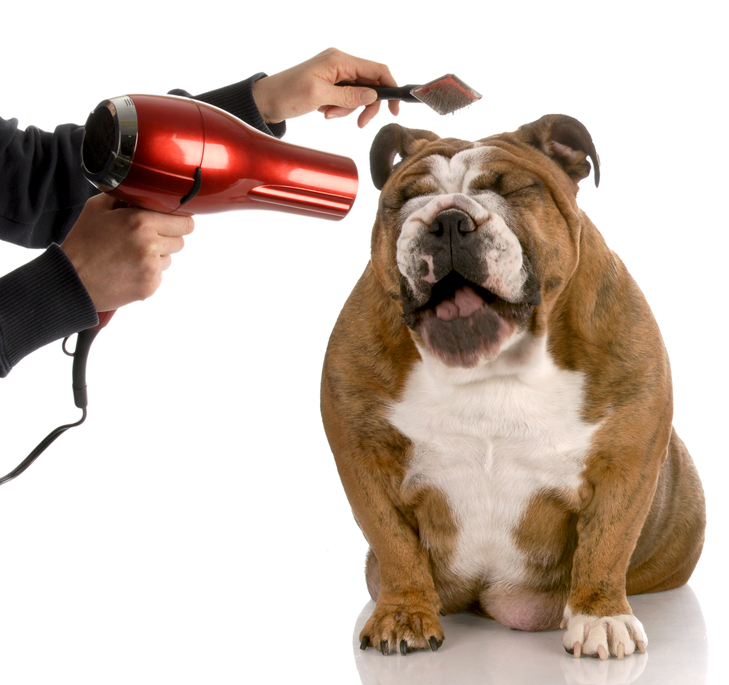 Reinvent the excitement and comfort of grooming for your clients at their homes. Much lower overhead than stationary store shops. NO MORE RENT RECEIPTS! This business is your own. Name your own hours and work when you want. Enjoy much more relaxed pets at the comfort of their own home 🙂 Woof! A business that you will love and be proud to own! Go the extra mile and make top dollar with a unique service. Never worry about your van breaking down and losing precious business again! 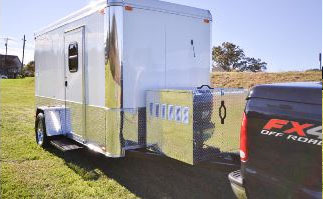 If your ride needs work, simply hook the trailer up to a rental and stay in business! 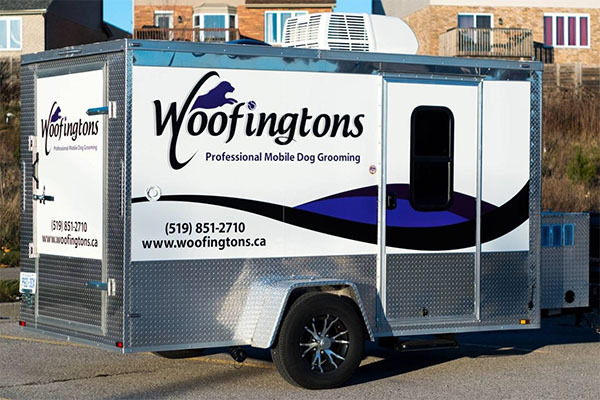 Our trailers are only 1/4 the cost of the traditional pet grooming van – Put the $ back in your pocket. 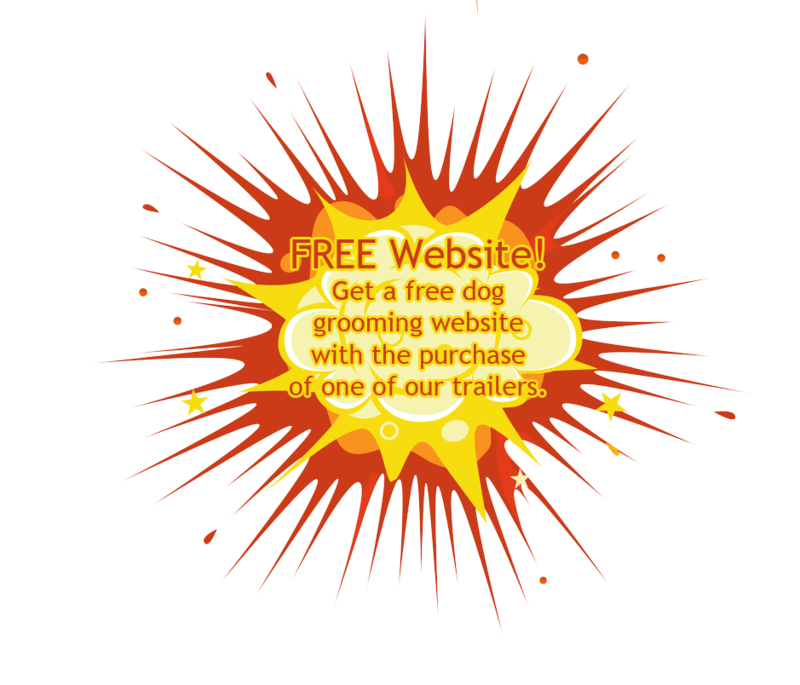 Every pet grooming business needs its own website, so we have partnered with Core Web Services to supply you with your very own website FOR FREE! with the purchase of one of our grooming trailers. The website maintenance is also waived for a 2 months. 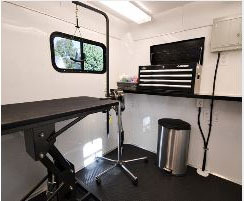 We Are Dedicated To Building Quality Pet Grooming Trailers. 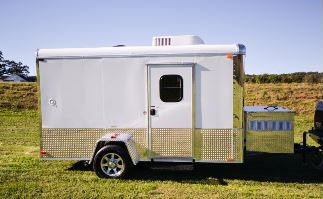 Simply put, we make beautiful, useful and long-lasting mobile pet grooming trailer shops. 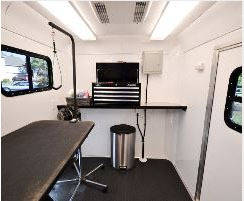 The shelf in front, combined with the toolbox, is perfect for clean and neat organization of your grooming tools. The breaker box is up and out of the way but still easily accessible. 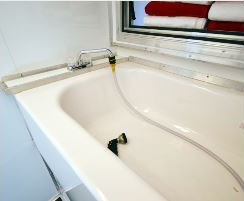 Over the tub storage AND under the tub storage maximizes every inch. You can also check your water levels.. and the 14 inch exhaust fan is works great for removing hot humid air out and pulling in fresh air. 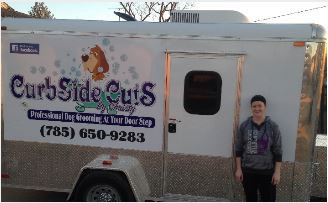 A Pet Grooming Trailer is the ultimate business opportunity for you! Made with quality and durable parts and features.